Weaver Containment offers you a lightweight, affordable Polyethylene containment unit, completely recyclable and ready to use, protecting you and the environment. 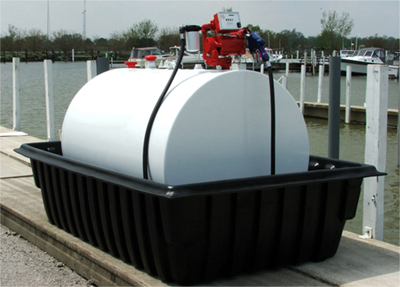 The requirements of State and Federal Law prohibit any hazardous materials being distributed on or into the ground. 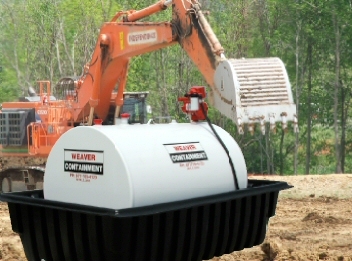 Weaver Containment is also the industrial distributor for ENPAC corporation's outstanding line of products. 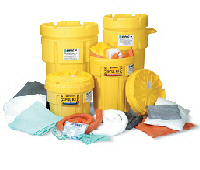 With ENPAC products we now offer a complete spill protection product line to help you solve the toughest spill containment and control problems anywhere. 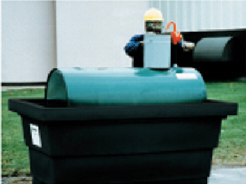 Spill protection: It's more then just a good idea, it's good business sense. It's a fact that spills and workplace accidents cost business and industry millions of dollars every year. The average hazmat spill or lost time accidents cost about $30,000 per incident. It's a fact that government regulations are becoming more stringent and pervasive every year: Storm Water, SPCC, OSHA, EPA, DOT, State and local, too The list just keeps growing. It's a good thing that Weaver Containment and ENPAC are on the job protecting your bottom line 24/7. The largest spill protection product line anywhere to solve your toughest spill containment and control problems. Fully integrated design and manufacturing committed to delivering product fit, form, and function, plus all the right features and benefits for your critical operations. Quality products backed by two (2) decades of experience in delivering performance and the best value. Weaver Containment and ENPAC deliver. Weather it's a compliance or housekeeping need, We are there with products and distribution points to meet your needs around the globe.